The internet is littered with questions about VPN connection and authentication issues as a result of using cached credentials. How can I automatically connect my Windows VPN at start up? Why do I have to re-enter my user credentials when connecting my corporate VPN? How do I get Group Policy to apply to VPN connected users? 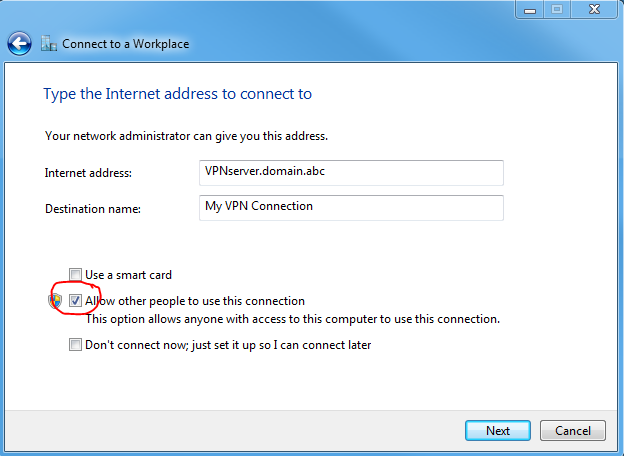 How do I use my work domain user account when I work from home using a VPN? Why won’t my logon script run when connecting by VPN? 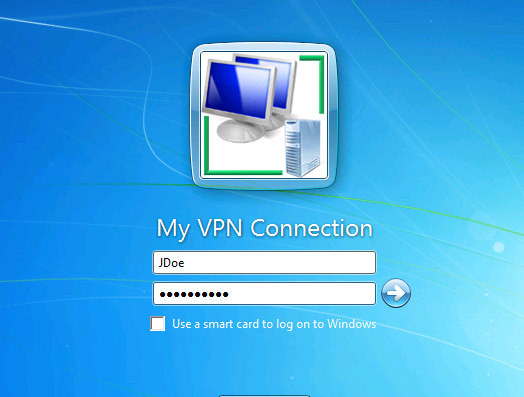 You can connect from any PC using a VPN, but in most cases you do so after having logged onto the PC first. 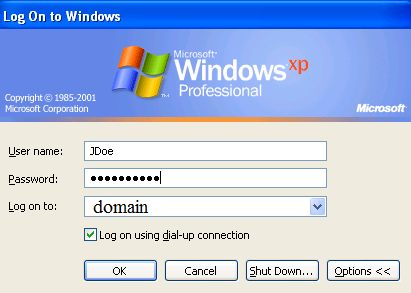 If this is a “domain joined” corporate PC, when you logon without the domain controller present, you are not authenticating to the domain but rather using the credentials cached on the local computer from a previous logon. As a result Group Policy cannot be updated, logon scripts are not applied, and most often you have to re-enter your user credentials when you do choose to connect to the office via VPN. This applies only to the Windows VPN client. Newer Cisco VPN clients and a few others do offer methods to connect the VPN before logon, but they use different processes. When you create the VPN connection you must check the box “allow other people to use this connection”. Having met these conditions, at logon there is now an option to connect using the VPN during logon. 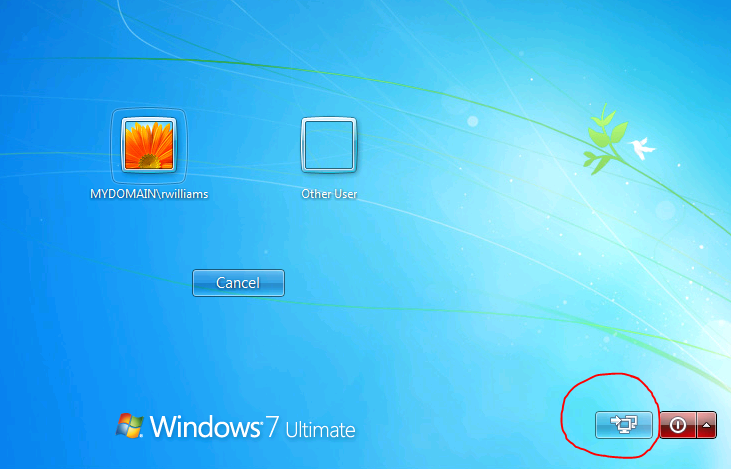 At logon select “Switch User” and a new blue icon will appear in the lower right next to the familiar red Shut Down icon.